The Southlake Academic Family Health Team is a group of health care providers that work together to provide the best possible care of all patients. In addition, we are privileged to have Family Medicine Residents as part of our ongoing team. These are licensed physicians specializing in Family Medicine. The team of health care providers are working for you to provide the best overall care for your health needs. With the variety of team members, we are able to service more patients and allocate the most appropriate member to take care of your health needs. With this approach, you may be seen by a Doctor, Resident Doctor, Nurse Practitioner, Registered Nurse or another health team member depending on the complexity of your health concern. Our team is accepting new patients. Please click the link below to complete the new patient form and a staff member will contact you to set up an appointment. 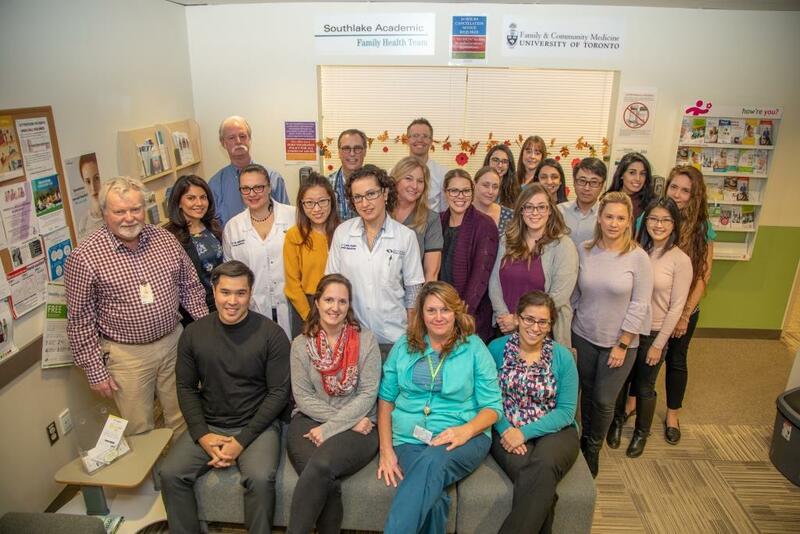 The FMTU has 11 teachers providing training for the residents, who are family physicians that also have their own practices at the Southlake Family Health Team.